We tend to find a way or the other to fit in all our essentials when we’re out on a trip, on travel or simply to run some errands. A proper bum bag might just be the best thing you could find to carry your cash, cards, phone and just about whatever you need when you are on the move. Lucrin presents a sublime collection of fanny packs made in full-grain leather. 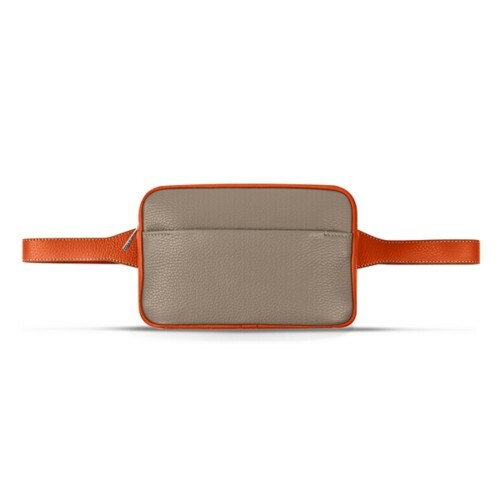 Our belt bag is not only practical in terms of volume and features, but it will stand out as an undeniable fashion statement around the waist. The waist bag of Lucrin is also perfectly customisable. You can choose to add your initials or even dare contrasting thread stitches.